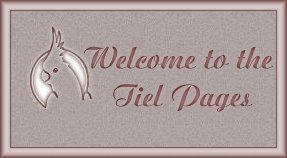 Welcome to the Tiel Pages. These pages are devoted to the over all health of birds. This is a compilation of information that we have learned since we started breeding cockatiels. We hope this information will be useful to you; however, if you suspect your tiel is ill, you may wish to seek the advice of your local veternarian. We have no veternary training,we are not experts in this field, and make no claims as such. NOTICE OF LIABILITY: All information presented herewith is provided on an "As Is" basis, without warranty or the implication thereof. Neither Al nor Donna Mason nor any other individuals associated with the preparation of the above information shall have any liability to any person or entity with respect to liability, loss, or damage caused or alleged to be caused directly or indirectly by the instructions contained within this presentation. Background was made by me with Paint Shop Pro 5:-) Tiel dingbat provided by Dingbat-aholics.